I bought my friend's son some Tsum Tsums for his birthday and wanted to make a tag that matched! I literally made this tag about an hour before we met up. Talk about procrastination! Hope this inspires you to try to make your own punch art! Hey Everyone! Yesterday was the last craft fair at my house. Yes.. end of an era! But I have one more craft fair on 12/6 at Island Scrapbooking. Please stop by if you are in the Hilo area that day. In the meantime, you can see what items I made.. some have sold out and some have limited quantities. Enjoy! Here's my surprise pop up can! And these hand scrubs and foot scrubs sold really well! Had fun making these! I made more manicure sets but this time packaged them in mason jars! Thanks for watching and thanks to those that stopped by yesterday to say hi! Woo Hoo! 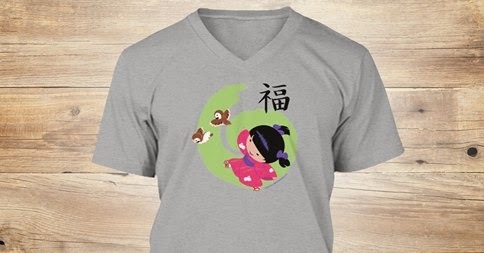 We are pleased to announce a launch of Denise's T-shirt design! Crossing our fingers that we have enough orders! Thank you to everyone for your support over the years! So proud of you Denise!! I'm back with more project shares... I have some of these left to sell on Saturday's craft fair at my house. Yay! These are very popular for giving to little children.. Its a mini mailbox to be used to leave your letter to Santa on Christmas Eve. I decorated each Target mailbox (you have to raid their stash in the dollar bin around Valentines day) and then glued it to the glass candlestick. Then I added a Mama Elephant Santa and some Island Scrapbooking laser cuts. On the door, I added a decorative bow and inside there is some candy for the recipient. I'm so excited to make these this year! The 4 I made last year completely sold out so quickly that I was glad to have more available this year. I have to remember to save one for Akemi! Another brain child I came up with this year is altered lunch bags I found at the target dollar bin. I'm telling you, the target dollar bin is a gold mine for crafters! I made all the flowers that were attached to the bags and they have been selling pretty good so far. I only have a few left from last weekend and will be making a few more with the stock I have on hand for this weekend. Here's some altered bags I made originally for my daughter's birthday party last summer. All of her friends loved them! So I decided to make some for the craft fair this year. Hmmm, not sure why the thumbnail is not working here... Anyway this video features my altered mirrored compacts and teacher gift sets I made this year... Teacher gift sets always seem to sell so well here. I think parents with young children are always looking for gifts for teachers at Christmas. I still have calendars to show here too... will post those shortly. See ya soon! Just finished up a craft fair last weekend at the Manono Marketplace and sold out of quite a few items... but I thought I'd share them here with you anyway, please check out my videos below. I'm making more of some of these and may have some available at my craft fair this Saturday (at my house). These were some clip containers that I made too. These surprisingly sold out! Made these stationary bag sets and paper clip jars... paper clip jars all sold out but I still have some of the stationary bag sets available for Saturday. Insulated cups filled with candy... These sold out so quickly! I guess its a great gift idea! These will be my last craft fairs. Hope to see you there! Crafty Friends- Epic Embellishment Swap! Woo Hoo! Sorry I've been a bit MIA. I been busy getting ready for craft fairs, another Sister Stamps Release and then my internet went down!!! But I'm almost back to normal and I can share the last Crafty Friends Swap that happened last month when our friend Rina Scrapstress joined us in Hawaii. Hi Rina!!! We had so much fun at lunch and sharing all our projects. We were excited that Jo Paperdrama joined in the swap even though she couldn't make it. Next time Jo! 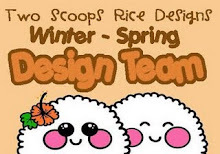 Hope you enjoy all of our projects! Our next swap is Christmas Themed Shaped Tags! Stay tuned to see what we all come up with! Cami's birthday was last month and because I only get to see her when I go visit Oahu, I had to plan ahead and get my project done for her birthday. We had already agreed on the clipboard swap (see previous post) so I had to get that done too, but I still wanted to make something for my friend. We decided to deviate from our usual dim sum and go to Tsukiji's for lunch. It was good! Now I know why it's Cami's favorite! I think I shared earlier that Cami loves Magnolia images, so I decided to use some of my new stamps on her clock. These girls are growing on me! I think its cause they really match the whole shabby chick thing. I added this Tilda stamp on top of the clock. It was fun to play around and add her to the outside of the project. I stamped her with a brown ink before coloring and really like the results. BTW- all flowers are by petaloo, Wild Orchid Crafts, and Prima.. oh and some from Downtown LA. Here's a better look at the main image. I think she's one of my favorites. Do you also see that teapot stickpin? Love it! Sorry, this shot is a bit difficult to see. I used a piece of silver mirrored cardstock and embossed the sentiment in white. I like this new stamp set I got from Simon Says Stamp called W plus 9. I thought the sentiments in the set were cute and matched this project. I was kinda worried about the embossing on mirrored cardstock, but it seemed to come out ok. Oh yah, that pearl star is from DIY boutique. Love it! A better look at that cute teapot stickpin! Here's the side of the clock that is right behind the Tilda image. I think you can see that I actually ran some lace around the clock before adding all the flowers. And here's the back of the clock where I wrote a message and added more flowers. Cami really seemed to like it! I'm so happy! It was pretty fun to make. I have a few more frames that I should try out too. Now I want to get more of those alarm clocks! Hey Peeps! I can't believe the weekend is over already. I didn't get as much done as I wanted to, but at least I started on some craft fair projects. Sorry, I guess I didn't take photos of Cami's clipboard for me, but you can watch the video! Ok now I did get pictures of Kyoko's and Linda's clipboard projects. First up is Kyoko's... So cute! Love that her Magnolia is on a swing! I think it was a separate stamp from the Tilda image but it looks like is from the same stamp. Here's a better look at Tilda..
Next up we have Linda's project... For the back story on this, watch Linda's video here... LOL!! Again, don't forget to check out my video to see Cami's project! Hopefully I'll have more projects to share soon! 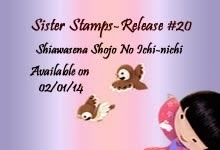 Check Our Our Sister Stamps Blog! Hi! 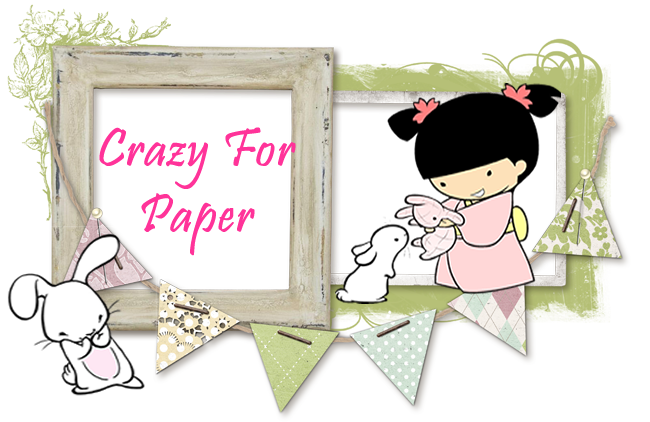 I created this blog to share my paper projects with you!